With a little less than two months to go before this baby girl makes her big entrance, I've been doing some research. 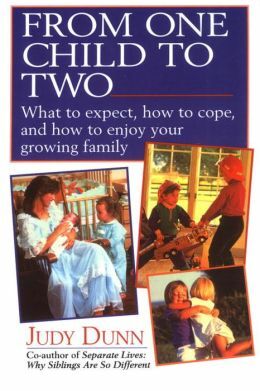 I figure it can't hurt to brush up on the basics of infant care and see if anything can be done about easing the transition for our formerly only child. This book is by a mother of three. Judy Dunn interviewed many parents and children before, immediately after, and a few years after the birth of subsequent children and she intersperses these interviews within the chapters. Maybe it's because the author is so intent on covering each possibility, but it seems like you finish the book with no concrete answers. Her conclusion seems to be that anything could happen and you should pay attention to your kid.....well....yes. Obviously. This book is also needlessly pessimistic. While it's true that many children have difficulty adjusting to a new sibling, parents don't need to feel like having that second child will be the end of any peace or happiness in the house. 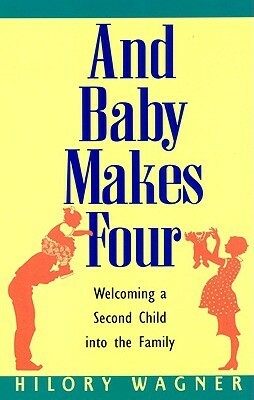 This book is equal parts about deciding when to have a second child and helping your first child deal with the change. As someone who was already expecting, I found myself skimming several chapters of this book. My favorite piece of advice from this book was to sometimes attend to your older child first and say, "Hold on Baby, right now I'm helping big brother or big sister." This will help soften all of the times you have to tell your child to wait while you feed or change or comfort the baby. Verdict: Pick this one up if you are thinking about having baby #2. If said decision can already be seen via ultrasound, you can skip this book. Sometimes you need a little refresher course, even if you are already a parent. In my case, it has been five years since I've cared for an infant. This is an excellent guide to the first few months of parenthood. 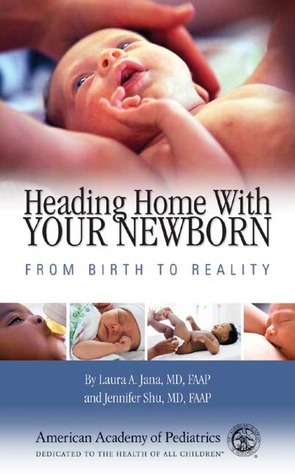 The authors are parents and pediatricians, so they can relate to being a new mother who worries that their baby is really sick but balance it with the wisdom of medical training. The book is endorsed by the American Academy of Pediatrics and has an easily accessible table of contents so you can just find a quick answer about spit-up or colic. The authors seem like they could be friends with older children who stopped by for a cup of coffee and to answer a few questions for a newbie mom or dad. This is my favorite of all the pregnancy/baby books this time around. But it's not for me. This book is all for the big brother. It starts during pregnancy, relating what it was like for mom to be pregnant with child #1 and asking the big brother or sister what they want the new baby to know. There's an interview to be given right after the big sibling meets the baby for the first time and then it proceeds through the first year together with the milestones of both infant and child. 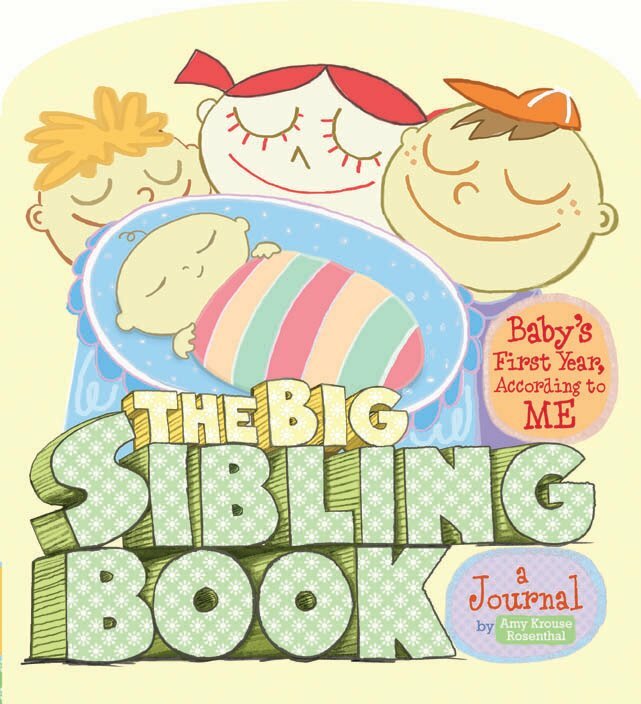 This book is funny and creative and has a ton of activities for the big sibling, so they feel like a brilliant and much-needed tour guide for this little thing known as their family. Verdict: Pick it up - the kids (and you) will have a blast! What pregnancy/baby books did you find helpful? I didn't know you were pregnant, so CONGRATS! I can only imagine what it would be like introducing another child to an older brother or sister. Unfortunately, I can't recommend any parenting books because I haven't gotten that far, but I'll definitely make sure to keep these in mind when the time comes. Congrats again!! I tend to be one of those people who likes to research things beforehand, but parenting is definitely a learn-on-your-feet situation, despite my best efforts!